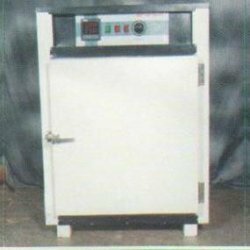 We are a leading Exporter of hot air circulating oven, industrial oven, laboratory hot air oven, memmert type hot air oven, lab vacuum oven and round vacuum oven from Ambala, India. 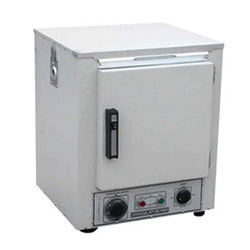 Temperature:All units provide temperature range 5 DegreeC above ambient to 250 DegreeC with accuracy of +-2 DegreeC.Temperature is controlled with mechanical temperature control (rotary knob) or by digitalcontrol (PID controller). 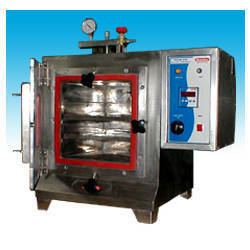 For uniform rotation of heat inside the chamber noise-less fan is usedfor air circulation.Construction:Each hot air oven is produced with double walled construction and made of 304 grades stainlesssteel with insulation of mineral wool for efficient thermal loss. 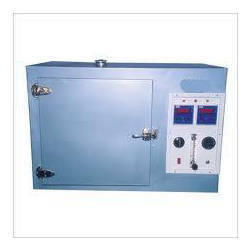 In economical models, exteriorchamber is made of powder coated MS, while 304 stainless steel is used as an option. 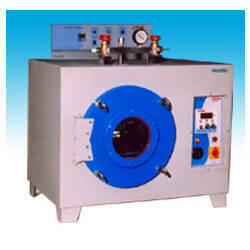 Innerchamber is completely made of stainless steel, which is easy to clean and maintain. Shelves aremade of painted steel and can be easily adjusted inside the chamber with ribs created inside theinterior chamber walls.Doors:Doors are double walled, made of MS steel (stainless steel optional) and also fully insulated withmineral wool, fitted on heavy hinges. 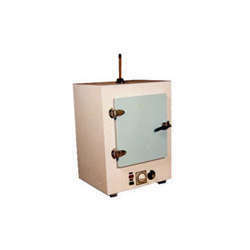 Sturdy handle provides comfortable opening and closing.Doors open 180 Degree in order to provide enough access to the heating chamber.Heating Elements:For efficient heating, our hot air ovens are fitted with branded heating elements, nickel / chromeplated nichrome wire, kept inside the beads and placed at the bottom and both sides of thechamber.Ventilation:For safe removal of hot gases and fumes air ventilators are provided near the top of the bothsides.Safety Features:For safe operation of the unit, several safety instruments are fitted; automatic circuit breakerturns off the unit in case of over temperature and other short circuits. Audio and visual alarmscan be fitted as option, alert the user if temperature goes beyond the selection. Double walled in construction - highly insulated between two walls high quality glass wool. Interior of 304 stainless steel having buffed - finish. 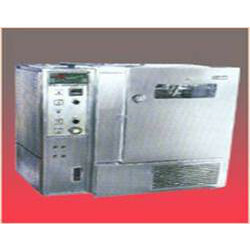 Microprocessor based PID temp. Controller. Temp. Range 50 Degreec to 300 DegreeC. Temp. Accuracy: +- 1C. A fully instilment door with sturdy brass/S.S. hinges. with spring ball type or magnetic latch. High quality compressed glass wool insulation between inner wall and outer wall to prevent heat – loss. A fully insulated door with sturdy brass- S.S hinges with spring ball type latch and gasket for perfect sealing. 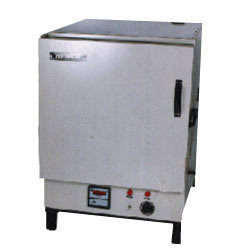 We offer Forced Air Hy Dry Oven to Well suited for dry backing sterilizing evaporating, heat treat, annealing and testing. 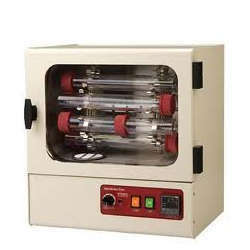 Stability Chamber (Humidity Oven) are designed for testing product shelf, life, stability and packaging electronic test. 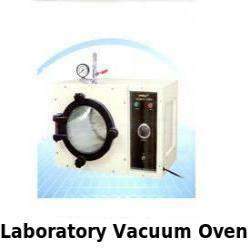 We offer Vacuum oven that have gained wide acceptance for its remarkable performance in various hi-tech laboratories, research & development centers, industrial houses, medical centers, hospitals, educational institutes, central & state government departments. 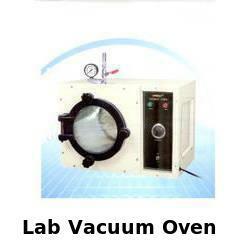 It has Hi-tech Vacuum oven-double walled, inside cylinder is made of thick stainless steel 304 Qty. 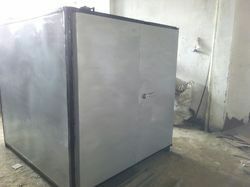 It has outside-MS sheet per-greased, pre treated for rust proofing and powder coated. 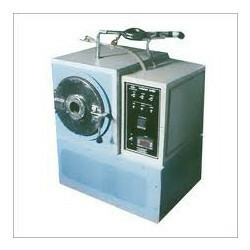 It has high grade mineral glass wool insulation the walls to avoid energy loss. Temperature range from 5C above room temp. To 150 C with plus minus 2 C accuracy. 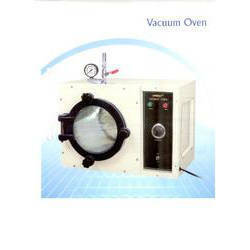 It has precise vacuum control to 28 (70.2 cm) Hg displayed on analog gauge. 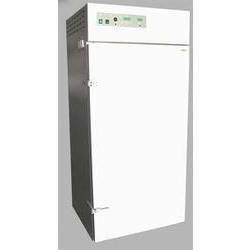 We offer our clients with an extensive range of Laboratory Ovens (Electric) Air-Draft 200o C that are widely appreciated by all our clients. 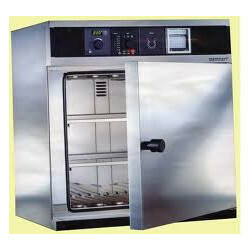 Our range of ovens needs very less electricity consumption and offers a long-lasting service. 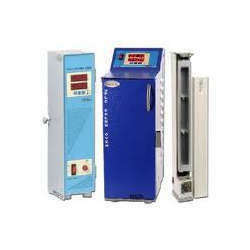 These are also optionally used as Electronic digital temperature indicator controller with suitable sensor. 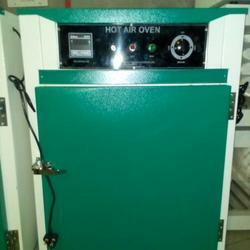 Two wire mesh shelves are supplied with the oven; shelves in s/s shall be at extra cost. We also offer our clients with customized sizes on request.